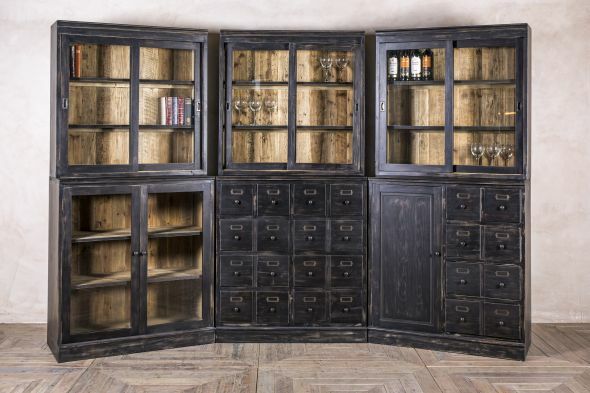 Meet all your storage needs with our large bar cabinet. 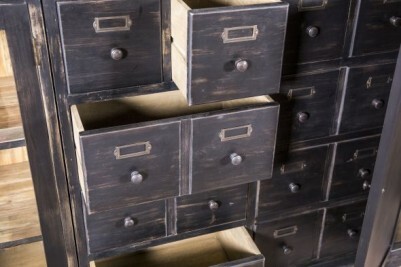 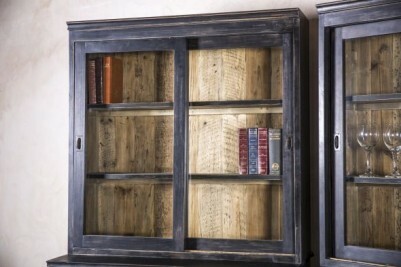 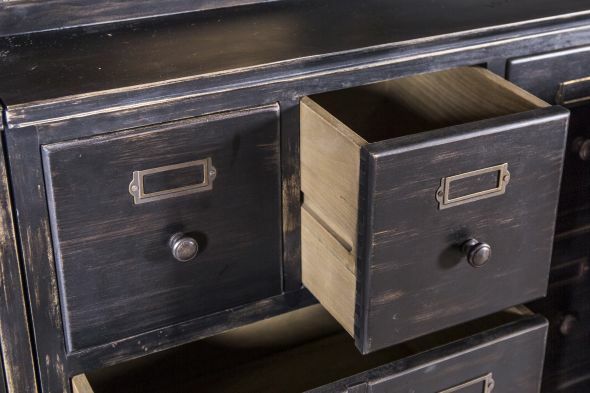 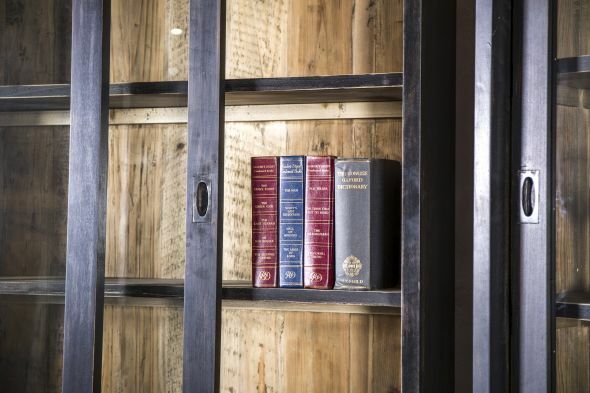 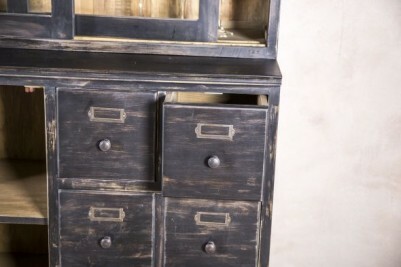 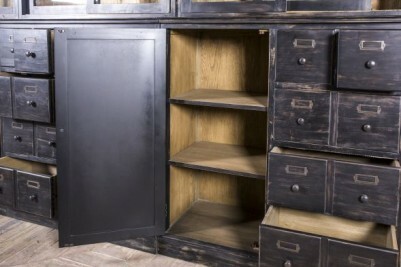 As you can see, the storage possibilities are endless with this cabinet. 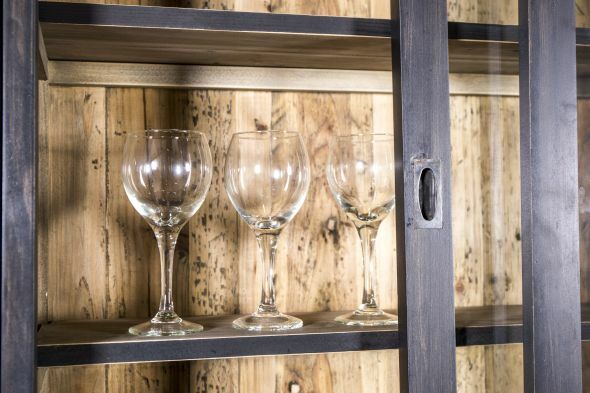 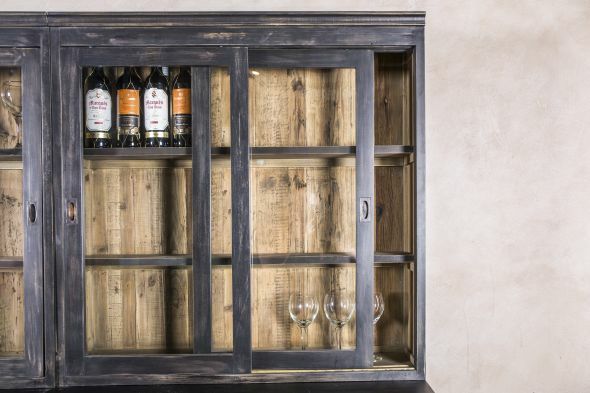 It would make an excellent feature for the back of a bar; you could display bottles and glasses in the upper cupboards, and the lower compartments are perfect for bar snacks, mixers, napkins and any other bits and bobs that you would like to keep hidden from sight! 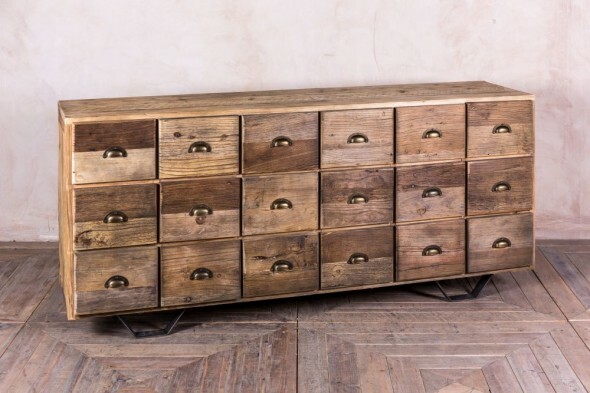 This fantastic piece of furniture consists of six individual sections. To the top, the unit has three glass-fronted cupboards, each with sliding doors and internal shelves. The base has one glass-fronted cupboard to the left, and a number of double and single drawers in the middle. 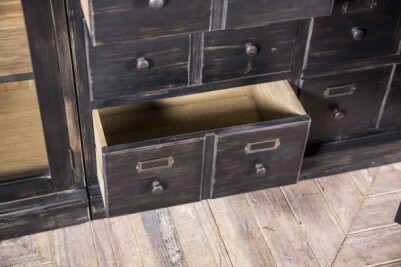 The right-hand base section has more drawers and a single cupboard with internal shelves. 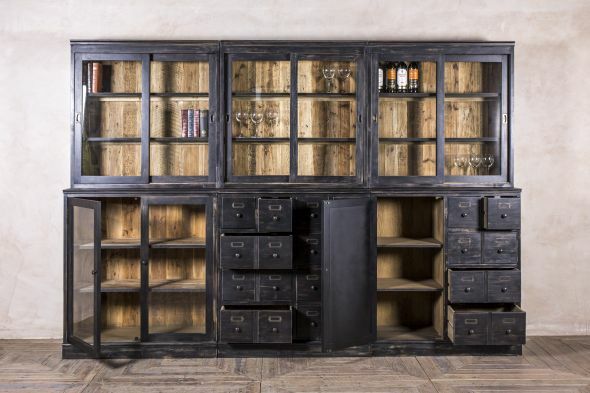 This versatile cabinet can be displayed as a whole, or would look equally impressive split into three sections. Angle the sections in the corner of a room, or place them individually. Shops could also benefit from this beautiful cabinet, it could be used behind a till point to store order files, clothing tags, etc. or it would also be a great place to display products on the shop floor. 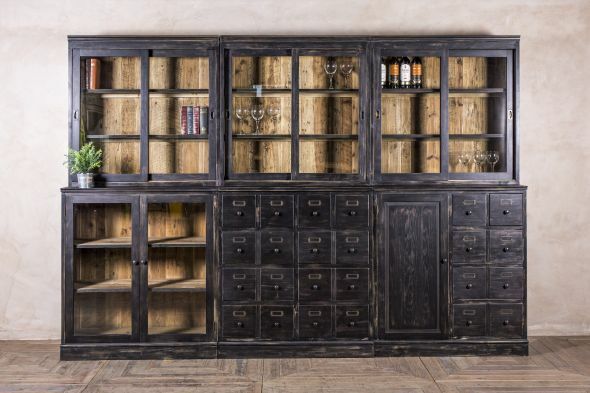 Additionally, large homes could use it as a bookcase or as somewhere to store crockery, cups or cutlery in a large country kitchen. 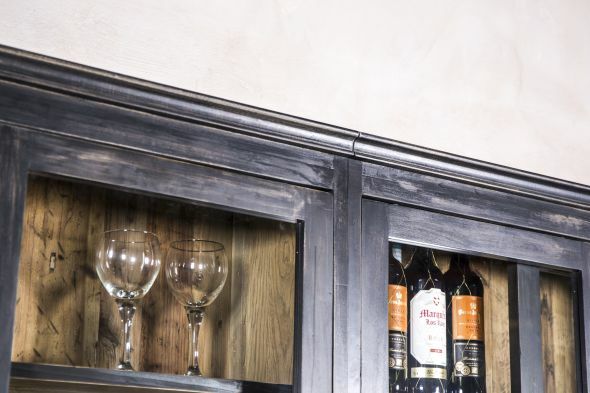 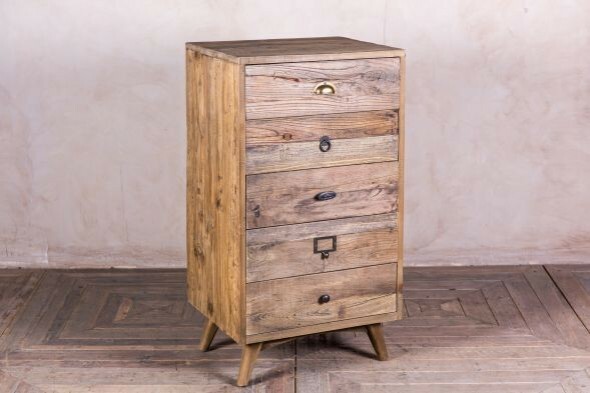 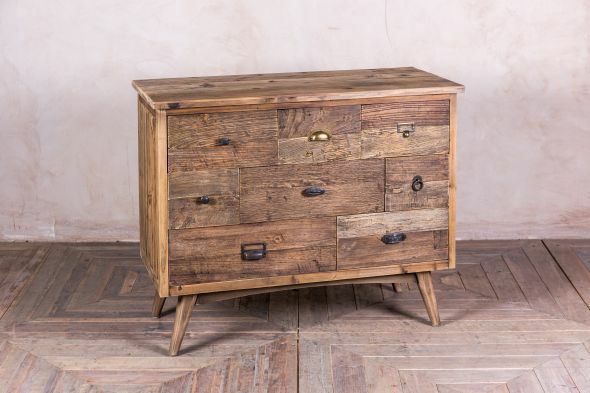 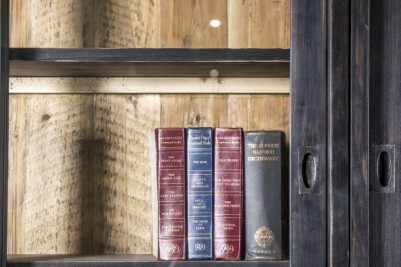 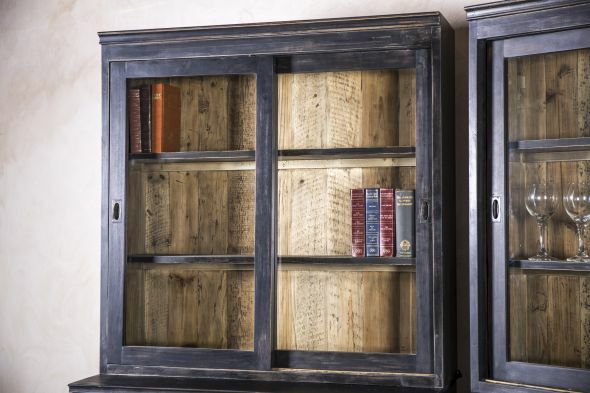 This large bar cabinet has a lovely distressed paintwork, which gives it an authentic vintage appearance that would suit a range of interiors. The accessories pictured here are not included in the price. 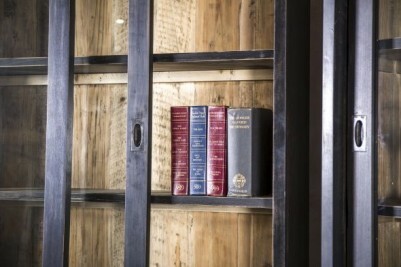 Continue to browse our website, or you can also visit our showroom to see our full range of items.